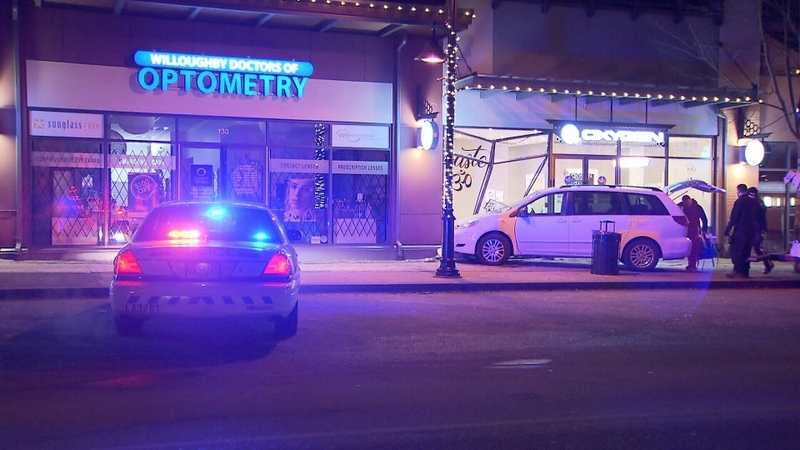 Police are investigating after a minivan struck a pedestrian and crashed through the front of a yoga studio in Langley, B.C. Wednesday night. The driver was passing by Willoughby Town Centre when the van jumped the sidewalk and slammed into Oxygen Yoga & Fitness. The impact of the collision was severe enough that it took out the building's foundation. No one inside was hurt, but a pedestrian suffered injuries to her arm and leg and had to be taken to Royal Columbian Hospital. Mounties said her injuries are not considered serious. Police said it appeared the driver, a 35-year-old Langley woman, had inadvertently hit the gas instead of the brake. No drugs or alcohol were involved. The white minivan has a "N" driver decal, but it's not clear if the woman behind the wheel at the time was the novice. She was the only occupant of the vehicle at the time. Langley RCMP is still working to determine what caused the collision, but investigators believe it was driver error. Mounties said they're considering a Motor Vehicle Act ticket, but the driver will not face charges. A minivan jumped the sidewalk at Willougbhy Town Centre and crashed into a yoga studio Wednesday night.